A 12-year-old honor student at a Georgia middle school was suspended for 10 days after he claimed he unwittingly used a phony $20 bill his father gave him to buy his school lunch. Straight-A student Christian Philon said he was sent to the assistant principal's office at Austin Road Middle School in Stockbridge, an Atlanta suburb, last week when a lunch lady used a counterfeit-detecting pen on the bill and determined it was bogus. "I was confused on how the money was counterfeit and how my parent received it," Christian told ABC affiliate station WSB-TV in Atlanta. Austin Philon, 12, an honor student at Austin Road Middle School in Stockbridge, Georgia, and his parents, Gwen and Earvin Philon, are appealing the10-day in-school suspension he got for unknowingly using a fake $20 bill to buy his school lunch. On Wednesday, a disciplinary panel at his school found that Christian violated the school's code of conduct and doled out 10 days of in-school suspension, according to WSB-TV. Christian said that when he tried to explain that he unknowingly used the counterfeit bill to buy lunch, the disciplinary panel cited a section of the "Henry County Schools Student & Parent Handbook." 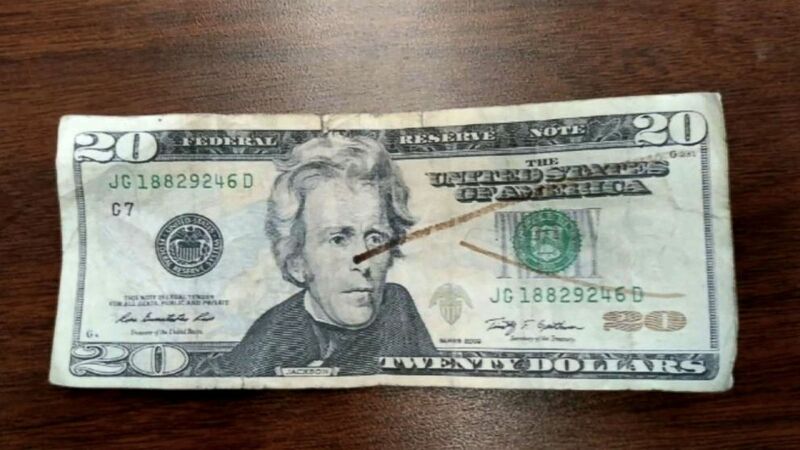 The counterfeit $20 bill is pictured. 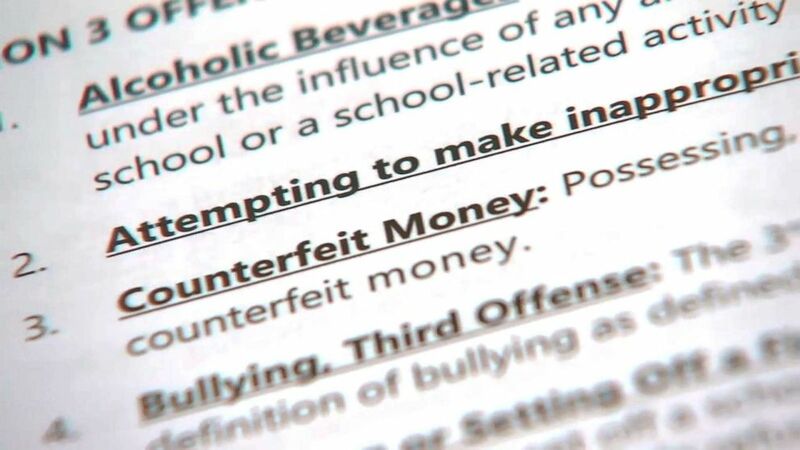 On the same page in the handbook as rules against alcohol use and bullying is a rule that forbids "possessing, using, selling, buying, giving away, bartering, [and] receiving counterfeit currency." Christian said the panel declined to show any leniency. 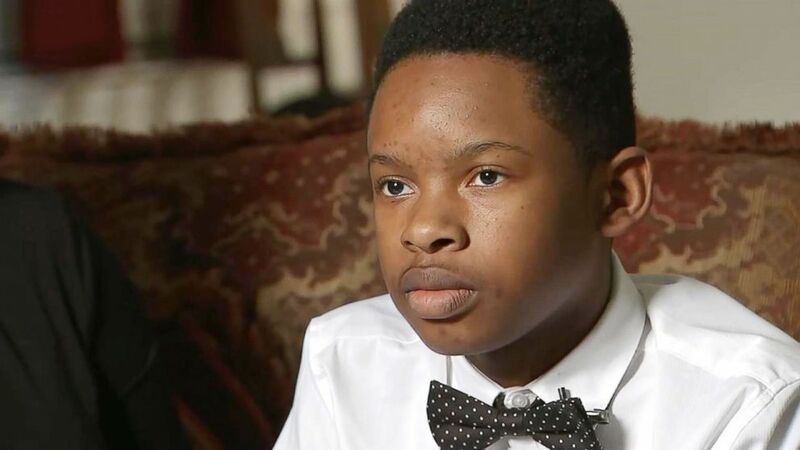 Christian Philon, 12, an honor student at Austin Road Middle School in Stockbridge, Ga., received a 10-day in-school suspension for unknowingly using a fake $20 bill to buy lunch. 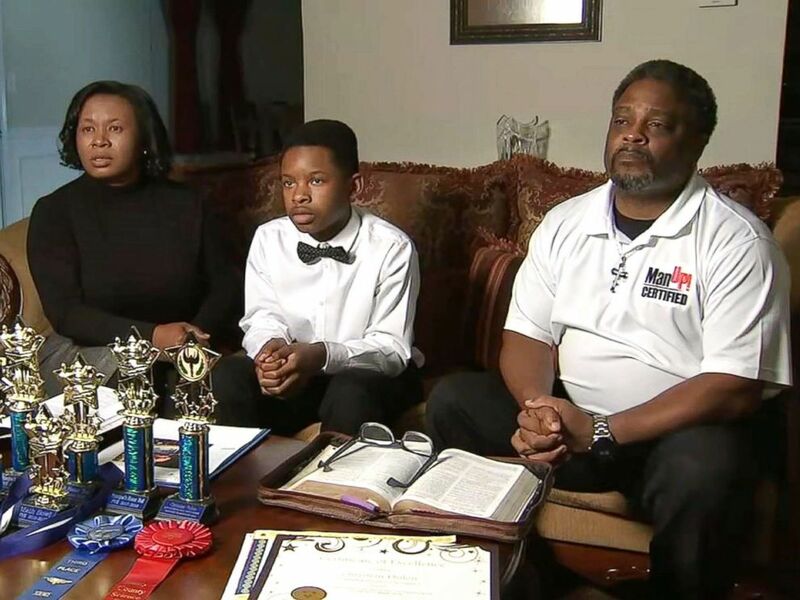 "They pretty much said, 'You possessed it, so you're going to have to pay for it,'" Christian told WSB-TV, wearing a bow tie and sitting with his parents on their living room couch near a table displaying a Bible and the boy's academic awards, including a trophy for making the school principal's honor roll for the 2017-2018 academic school year and another trophy he won at the Henry County Schools science fair. Christian's parents, Gwen and Earvin Philon, said they plan on appealing the disciplinary panel's punishment on their son and hope to get the rule changed to prevent other students who find themselves in a similar predicament from suffering the same fate as their son. School district officials did not immediately respond Thursday to a request for comment from ABC News. Earvin Philon says he unwittingly gave his son, Christian, a counterfeit $20 bill he got as change at a local convenience store. 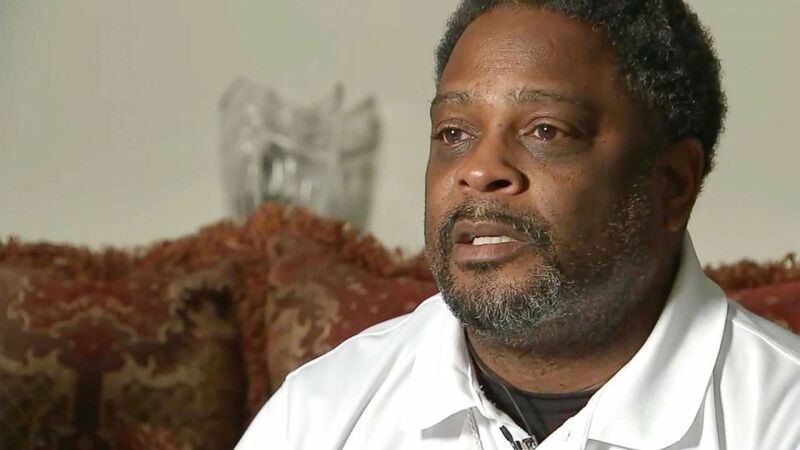 Earvin Philon told WSB-TV that he believes he got the fake bill when he was given change at a local fast-food restaurant and then handed it to his son when he asked for lunch money. 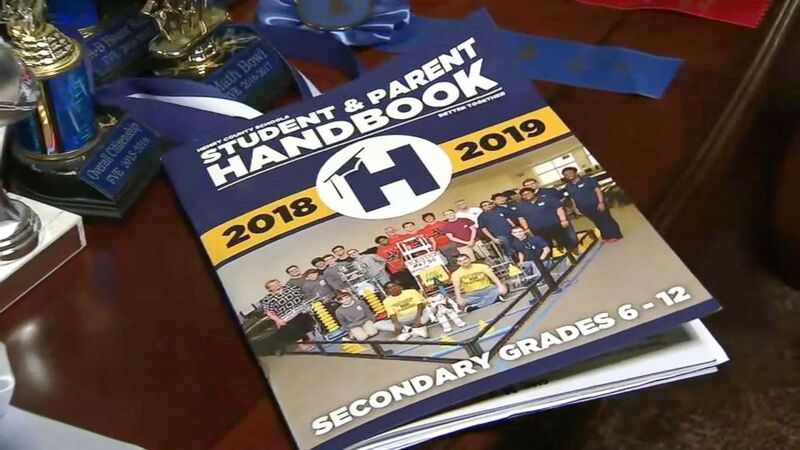 A school disciplinary board told 12-year-old Christian Philon that he violated The Henry County Student & Parent Handbook code of conduct by possessing and using a counterfeit $20 bill. "I've never handled counterfeit money. I don't know what it looks like," Earvin Philon said. He said the bill was so realistic looking that he never thought to think it could be a forgery. "And there was no way when I gave my son the money that he knew it was counterfeit," Earvin Philon said. His wife, Gwen Philon, added, "If we knew it, we wouldn't have had it. But we didn't know it." The parents said they filed a police report hoping that would clear things up and prompt the school to rescind the punishment. But school officials, the parents said, have refused to budge.